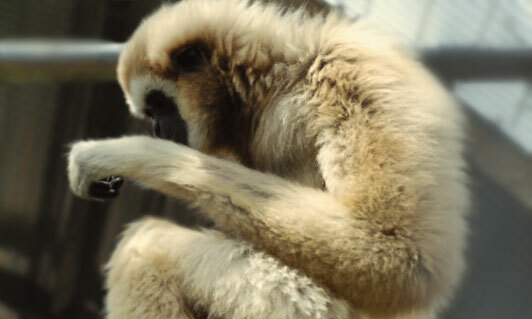 The gibbon, the smallest lesser ape, can vary between black and dark brown to a sandy buff color, but the hands and feet are always white. They form strong pair bonds and produce a single young after 7 months that reaches maturity around 8 years old. 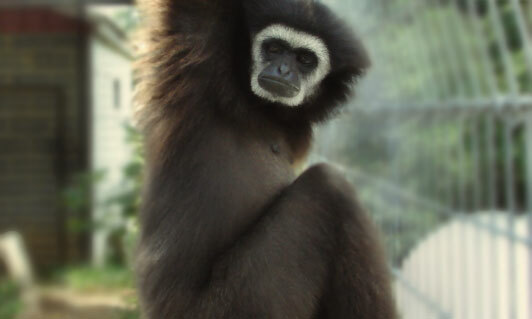 The gibbon is a true brachiator, using their hooked hands and long arms, they can swing swiftly and with great momentum beneath the branches. Each morning the family group begins a great call, a dual between the breeding pair. 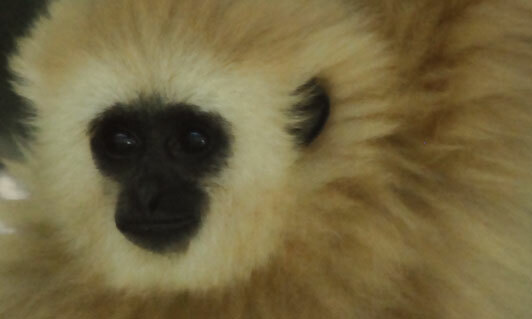 These calls are done on the edge of their territory and are used to ward off other gibbons. Habitat destruction poses the greatest threat to their existence.